Aside from the deep and ongoing inner transformation that the pregnancy journey ignites, the physical self is also something of an evolving being – and this can feel both beautiful and unnerving at times, to find our bodies in a state of constant flux and change, at such a fast pace, with no control over any of it. And that is the beauty of the journey – it is one of total surrender. But I know from my own experience, and sharing with my girlfriends, that confusion and limitation over what we should or should not eat and put on our skin can trigger some anxiety. 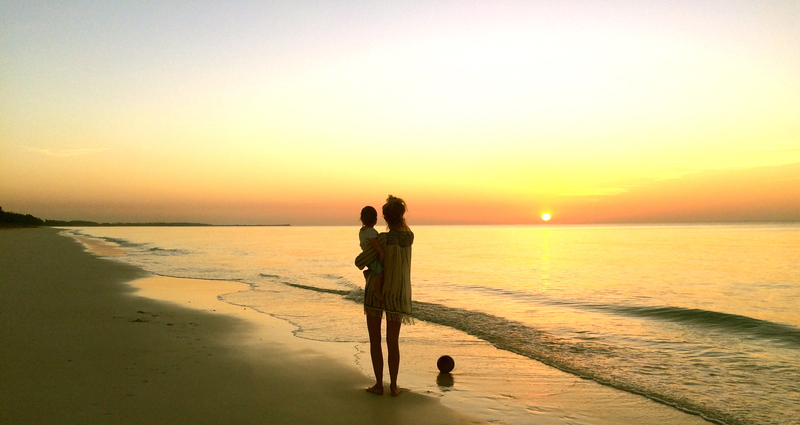 Maternal guilt sure starts early… So I wanted to share some gentle, pregnancy-friendly natural beauty staples that have kept me feeling nourished and pampered throughout the nine month journey, each crafted consciously with love and respect for the planet and our growing bodies, breasts and bellies. 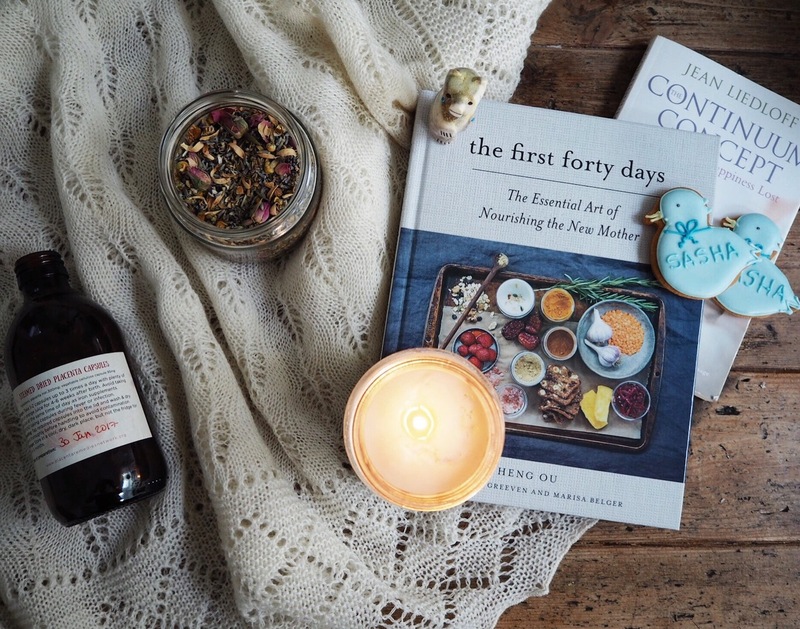 Created in the Cotswolds by beautiful founder Tara, honey-based brand Therapi are one of my favourite natural organic skincare lines and their Rose Otto night cream has been a bedside saviour for the last couple of years. For the day, when something lighter is called for, their Lemon, Myrtle and Honey cream is perfect: with a little witchazel to tone and brighten tired skin, it nourishes lightly and gently. Even more reason to invest is that Therapi donate at least 5% of their profits to bee conservation projects. This beautiful Bamford botanical mist is intended for pillows and bedtime but I like to use it as a perfume / body spray. The delicate fragrance blends clearing frankincense, calming lavender and and brightening marjoram for a gentle yet uplifting boost and since the sense of smell is so heightened in pregnancy it has made a welcome natural alternative to full-on commercially produced alternatives, which can overwhelm and are so often laden with nasty chemicals and additives. My thoughtful sister gave me a bespoke Face Gym blend for Christmas, carefully crafted to be safe and nourishing during pregnancy, and losing myself in its beautiful aroma is one of my most cherished night time rituals during these final third trimester days. At their Open Beauty Lab, their skincare mixologists create specific blends by hand while you wait, choosing from sustainably sourced and raw ingredients that combine seasonally-harvested base oils such as rosehip and almond, with essential oils (mine include sandalwood, lemon and neroli and the blend is almost mystically sublime). They can also add other natural boosters including clay, herbs, probiotics and vitamin drops. The sense of love and thoughtfulness when you receive the blend is such a happy gift… and a world away from the homogenous factory-produced pots lining our shop shelves. 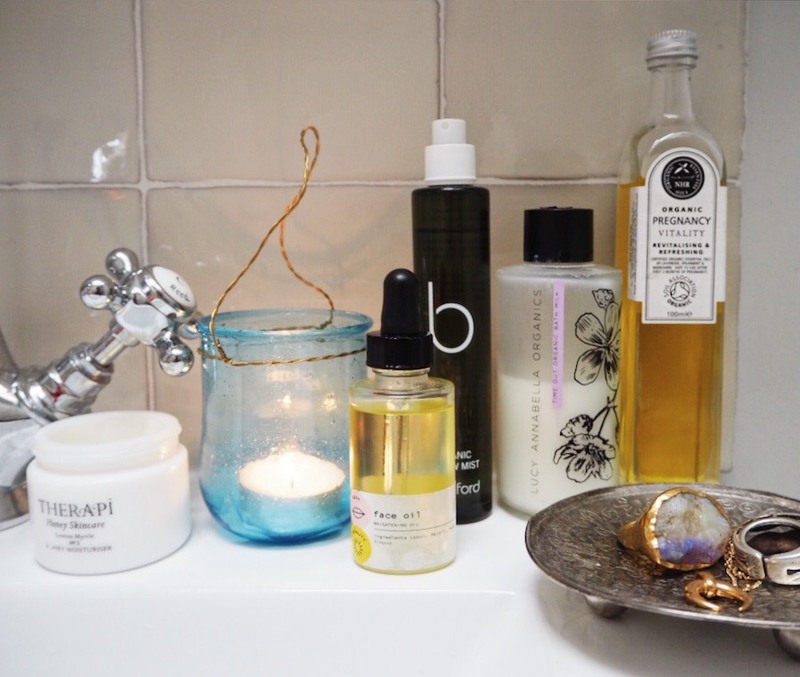 A hot bath is one of the most medicinal and healing things we can give ourselves at this sensitive time and I take my bath time ritual very seriously (and encourage all my clients to do the same). Warming, grounding, sensual and deeply meditative, baths are a space for profound renewal and relaxation – and the perfect place to harness the naturopathic benefits of epsom salts, aromatherapy and nourishing oils. This organic Time Out bath milk by Lucy Annabella is handcrafted in Ireland in small batches and rich with organ and coconut oil, with essential oils of cypress, orange, juniper berry, geranium, marjoram and chamomile – all in gentle enough quantities for mamas-to-be. A little goes a long way and since it’s a truly sumptuous treat I have bene rationing mine for those days when you really need an extra helping hand from mother nature to feel like yourself again. While NHR are one of the best organic essential oil companies in the UK (and the one I also feel happy to use in food, such as sweet orange in my Mayan Spiced hot choc), this functional pregnancy blend is actually very gentle and pure, with minimal fragrance and maximum nourishment. It has become my belly and breasts’ best friend and massaging a little on each night after bathing, from such a beautiful bottle, is a calming and tender moment with my and my bump. It blends barely-perceptible amounts of organic lavender, spearmint and mandarin essential oils with a deeply moisturising and protective omega-rich base of safflower, sunflower, jojoba, apricot kernel, evening primrose, marigold and pure vitamin E oils, and has kept stretch marks at bay – for 39 weeks at least… They also have a baby massage oil which I look forward to using very soon.